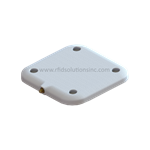 High-performance, 10 dBil gain, Linearly Polarized RFID ground mat antenna. This UHF RFID antennas works well in industrial applications, and is the basis for the Times-7 RTAS - race timing antennas system. Made of rugged, blue, molded polyurethane, the unit measures 48 x 24 inches. At only 0.5 inches thick, this is perfect for RFID/chip race timing, is ADA compliant (it is NOT a trip hazard) and can handle the weight of runners and bikers as well as emergency vehicles, garbage trucks, etc. Ships with an integrated 12 inch Pigtail cable with SMA-Female Connector and multiple cable extension options are available. 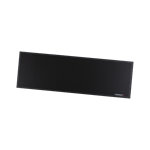 The Times-7 SlimLine A6031 is a Circular Polarized UHF RFID Antenna. It offers 4 dBic gain in a small, low profile size: 11 x 8.5 x 0.5 inch and includes a 12 inch Pigtail with SMA-Female Connector. Functional equivalent to Zebra AN610 antenna, but with SMA-Female Connector. 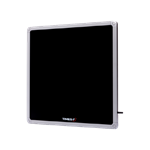 The Times-7 Slimline A6034 is a circular polarized UHF RFID Antenna offering 9 dBic gain in an oversize, low profile package: 30 x 12.5 x 0.5 inch, and includes a 12 inch Pigtail with SMA-Female Connector. 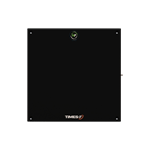 The Times-7 SlimLine A6034S is a circular polarized UHF RFID Antenna offering 9 dBic gain in a square, mid-size, low profile package: 15 x 15 x 0.5 inch, and includes a 12 inch Pigtail with SMA-Female connector.